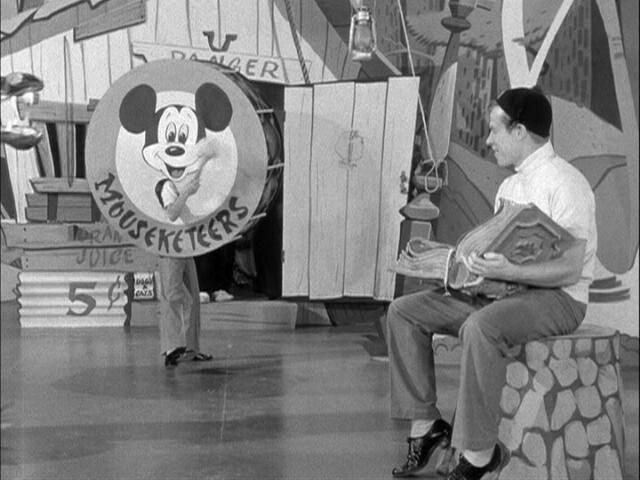 This started off as the Mouseketeers second performance day of the week, with many skits designed to promote the theme park. That Disney cross-marketing emphasis continued into the second season, though the mice were used less often. The format, but not the name, lasted into the third season, sharing Wednesdays with other theme days. "Today is a day that is filled with surprises; nobody knows what's gonna happen!" 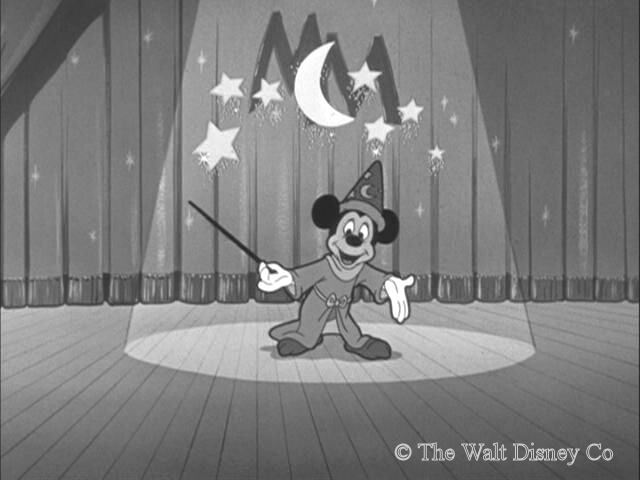 After the usual animated title song, Mickey's daily solo introduction saw him ride in on a magic carpet, dressed as in The Sorcerer's Apprentice. "Whoa, boy, steady" he'd command, at which the carpet rolled itself up and disappeared. Rolling up his sleeves, Mickey would say "Anything Goes. Everybody ready? Then on with the show!". 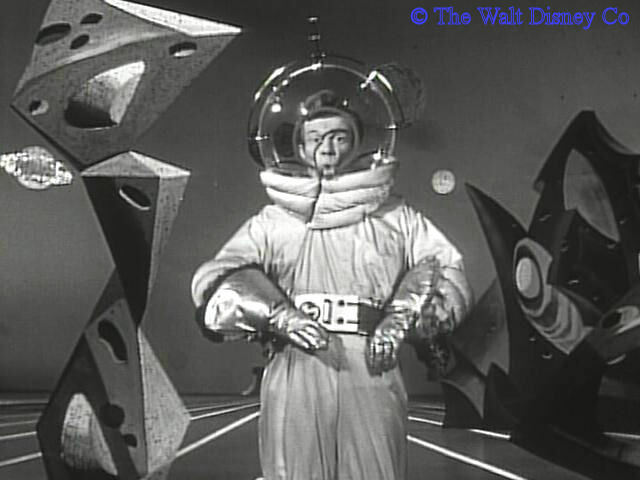 For Wednesday, newsreel segments in the first two seasons featured regular or special newsreels. The former consisted of four to six short clips on various subjects, the latter was devoted to a single topic. The half-hour shows of the third season eliminated this segment, and went right into the main feature. 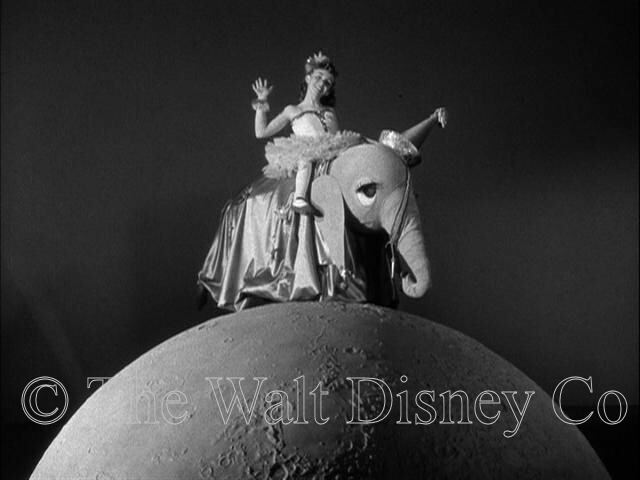 "Why, you might find yourself on an elephant on the moon, or riding in an auto underneath a blue lagoon"
The Mouseketeer Segment started off with the day's special opening, filmed once per season using the Red Team, then recycled every Wednesday. 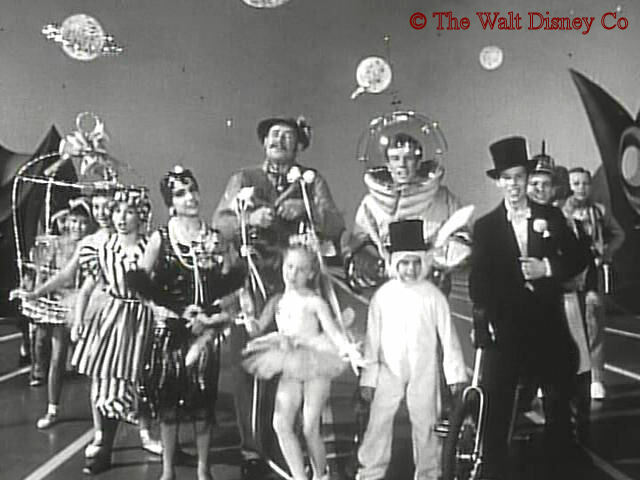 It began with Jimmie Dodd singing Anything Can Happen Day, cut to brief shots of the Mouseketeers engaged in surprising activities (for which the middle verses of the lyrics changed each season), then had them come out in costumes and do little bits for Roll Call. 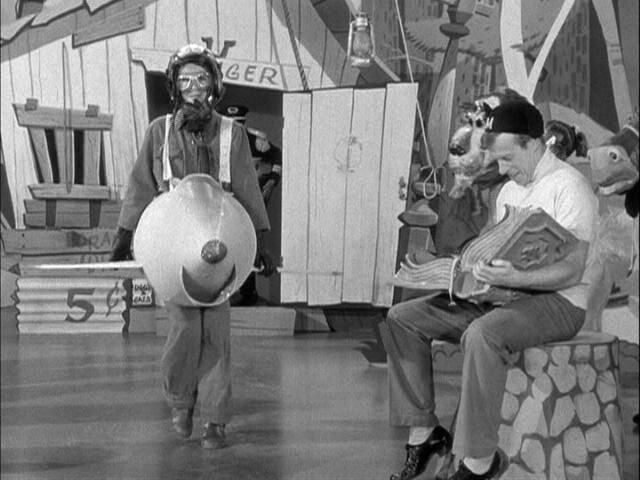 Roll Call in the first season had half the kids in costumes that hid or obscured their identity, rendering an introduction pointless. Jimmie called out the names, and at the end the kids who could speak with their costumes on yelled out his. There was little dancing, since the costumes limited many to just shuffling along. 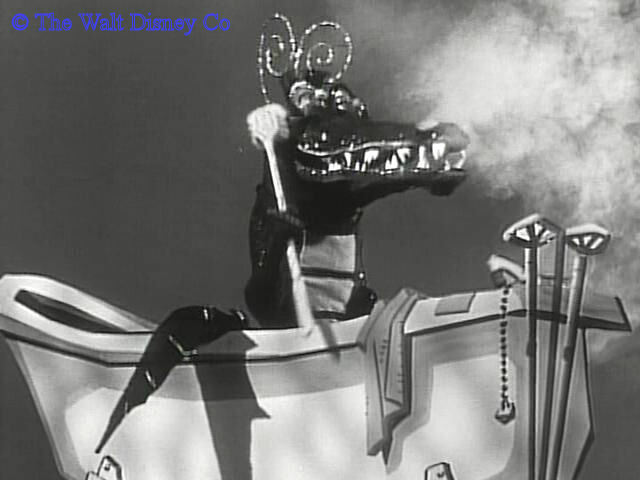 At one point Doreen, trying to guide Annette (in a lion costume) out of harm's way, instead bangs into the donkey nose of Nancy's costume. 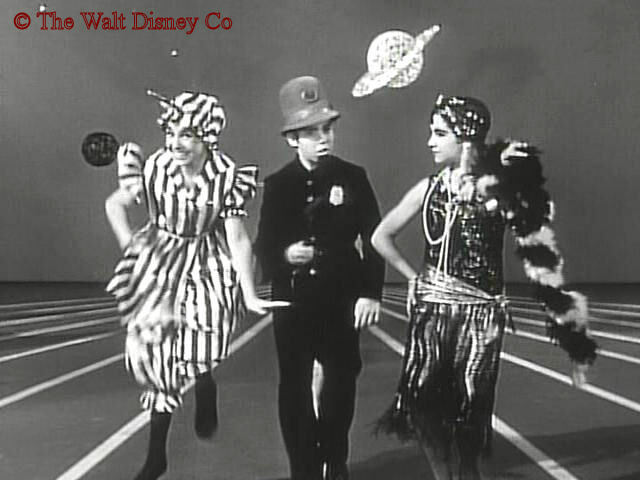 For the second season, costumes were again used, but this time were designed to let viewers clearly see the faces. Some of the costumes were quite clever, and all had some humorous angle to them. 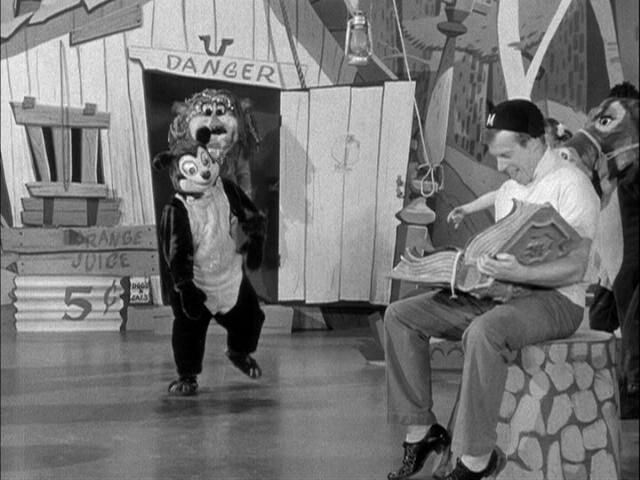 Bobby rode his unicycle, Annette, Darlene, and Jay-Jay did a short pantomime together, as did Karen and Roy. 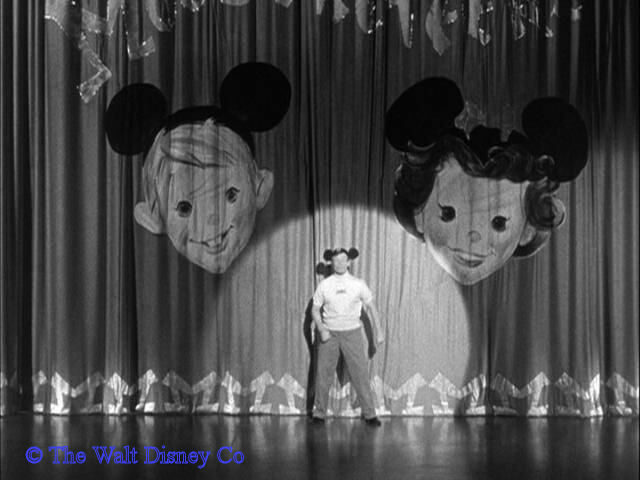 The result both entertained and highlighted the Mouseketeer's natural appeal. 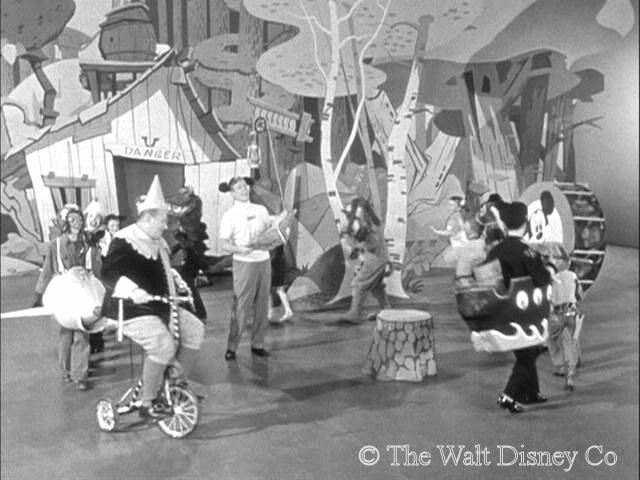 For the third season, the daily opening songs, dances, and roll call, were all replaced by the generic We're the Mouseketeers (see Fun With Music Day). 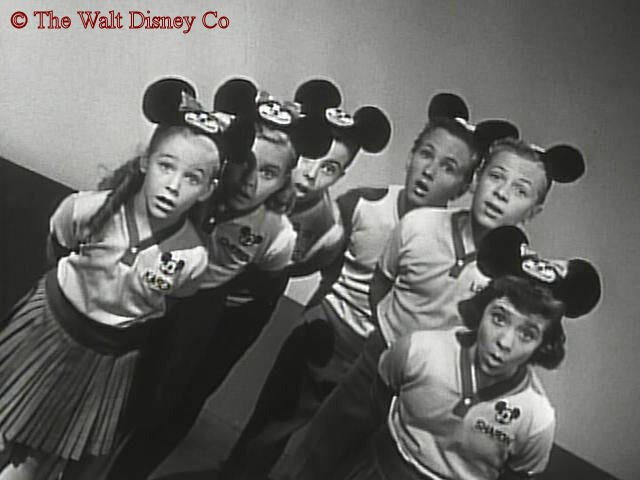 "Yes, we Mouseketeers think you're gonna have some thrills..."
Walt Disney had given instructions to the show's creators that there must be one Disneyland-related skit per week. They were unable to fully comply with that directive, but when they could, Wednesday is where they usually chose to place it. 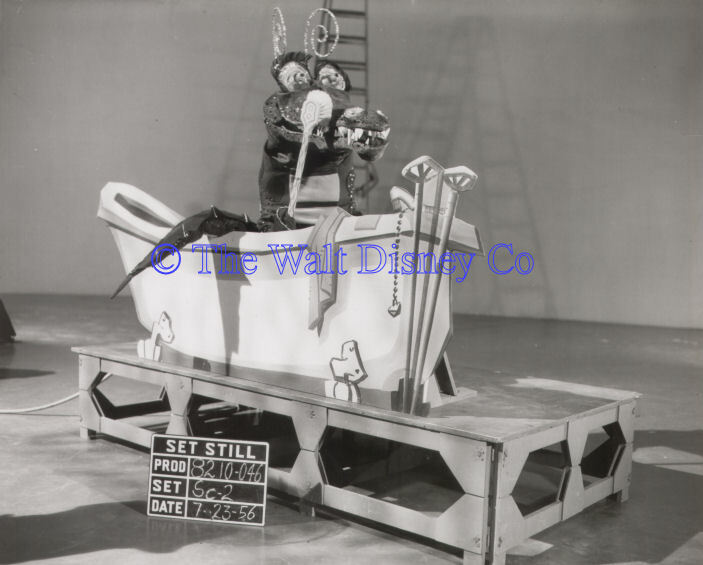 Eight first season skits consisted of Mouseketeers riding a prop resembling a Disneyland attraction, while a rear-projection film behind them gave the illusion of movement. 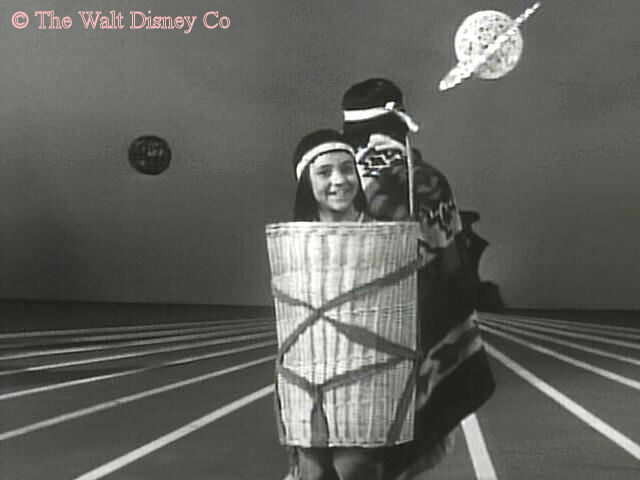 Even for unsophisticated viewers this was a rather lame special effect, though it was amusing to watch the Mouseketeers try to project thrilled enthusiasm for several minutes straight. 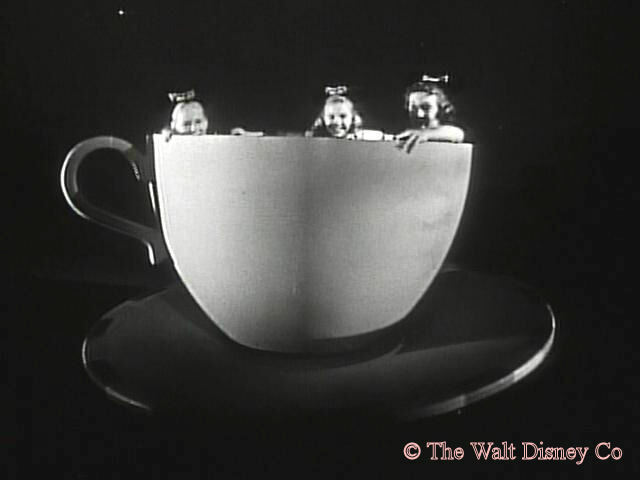 The skits themselves made no mention of the Disneyland ride; that was probably left for a commercial. 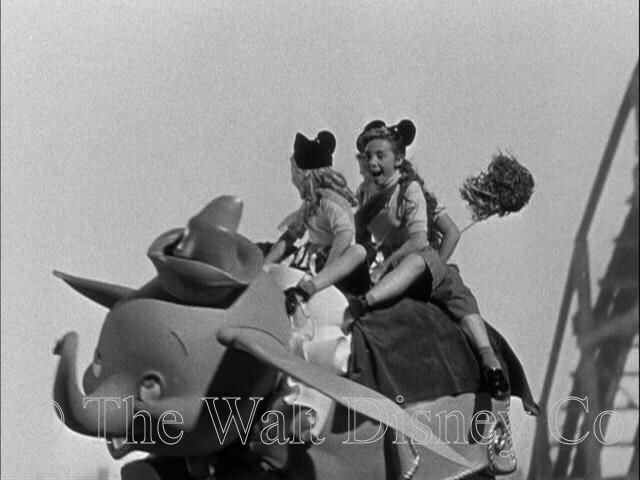 Besides the Disneyland promotions, the first season had a grab-bag of Mouseketeer skits built around games or material objects, that were entertaining by their casual air. 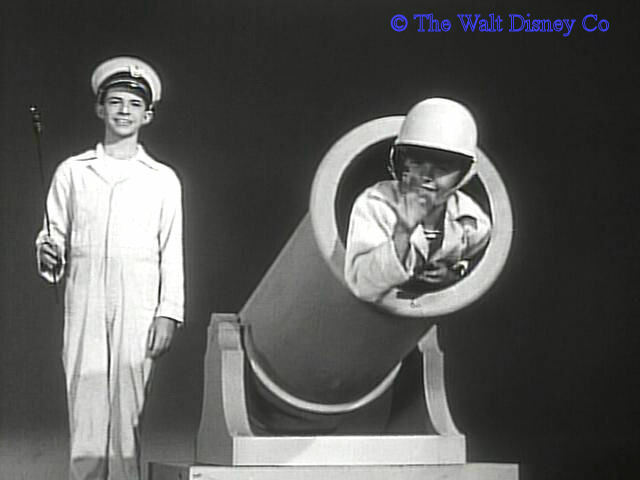 Though scripted, they allowed scope for some ad-libbing and spontaneity by the Mouseketeers. 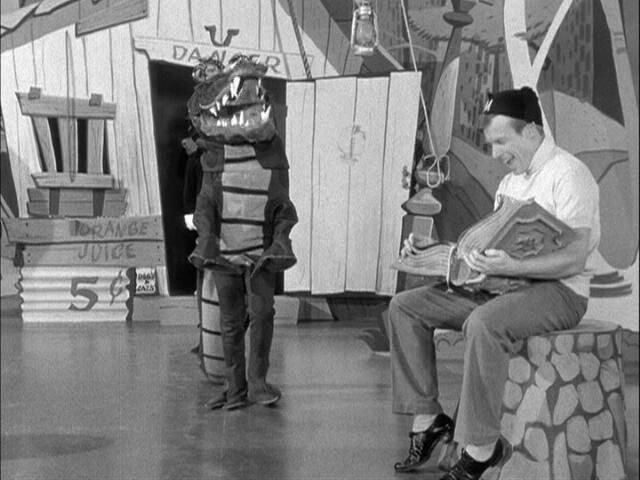 The second season dropped the in-studio skits for multi-part educational serials, featuring three Blue Team Mouseketeers and another boy on location. 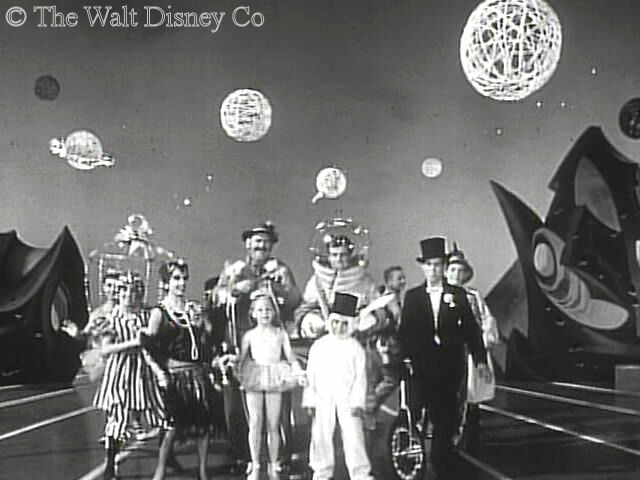 Promotions for Disneyland and Disney films continued, the latter having a recycled musical introduction with the Mouseketeers. The remaining shows were a miscellany of unrelated subjects. For the third season, though Mickey's "sorcerer's apprentice" opening was still used, Wednesday was no longer called Anything Can Happen Day. 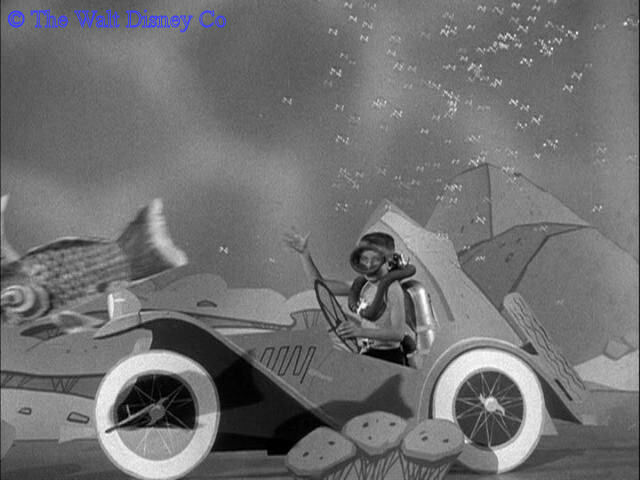 Guest stars, newsreel specials, recycled Fun with Music numbers from the first season, cartoons, all might pop up on Wednesday, along with the types of material formally associated with it. 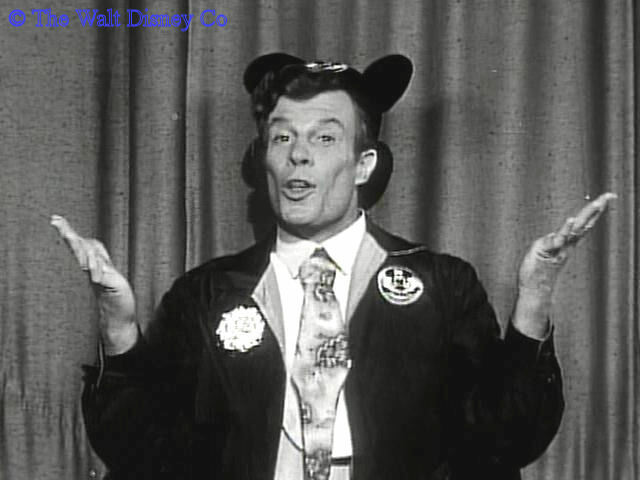 No new Mouseketeer skits were created for Wednesday shows this season. Instead, there were more Mousekapreviews promoting Disney films, and a leftover travelogue serial that was re-packaged as A Mousekatour to England, with Annette doing the in-studio hosting. 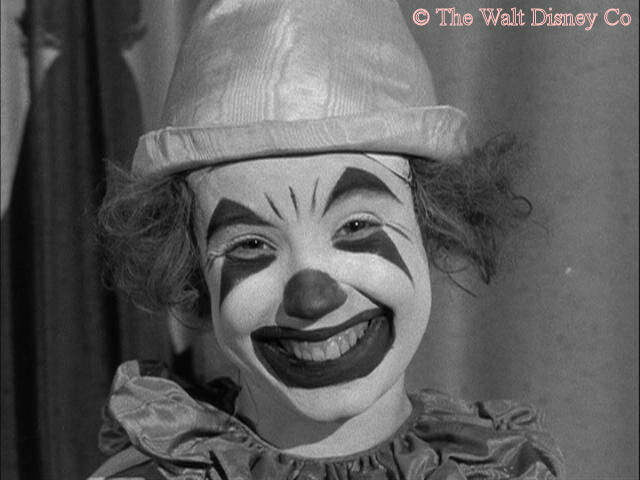 Indeed, Wednesday's during this season might justifiably be re-titled Annette Day, as she frequently did introductions and voice-over narration. "...And you know its true that a laugh can cure your ills!" After the cartoon there would be the usual features: Doddism and/or promotional message, then an Alma Mater variant. At the start of the first season Jimmie's closing messages usually announced the next day's show, but this was dropped midway through the year. 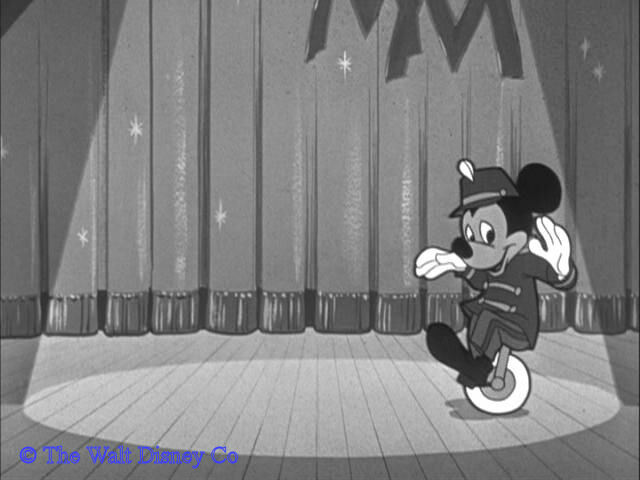 Mickey then reappeared for the signoff, promising "a very special show" for tomorrow.